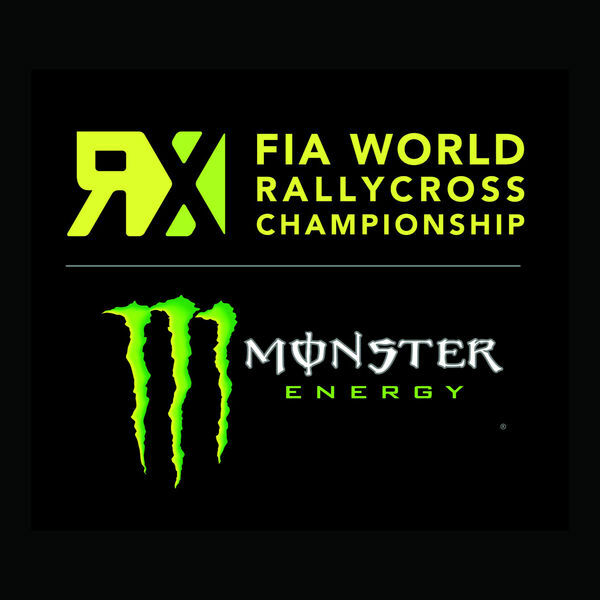 You may have been wondering why I have not covered the FIA World Rallycross this season. Well, the reason for this is because the sport is now shown on a different channel, one that I don’t have sadly. 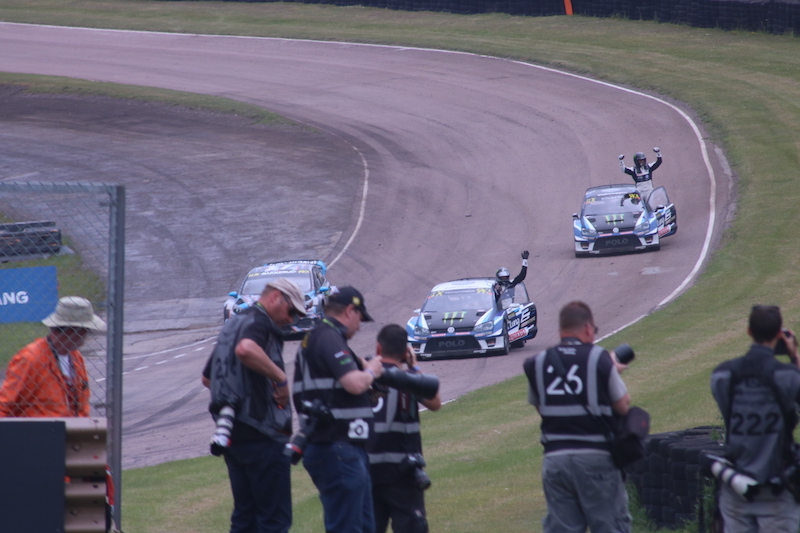 Thankfully, I was able to get a media pass to round 5, which was held at Lydden Hill for what will be the last time for quite a while as the sport moves to Silverstone next year. 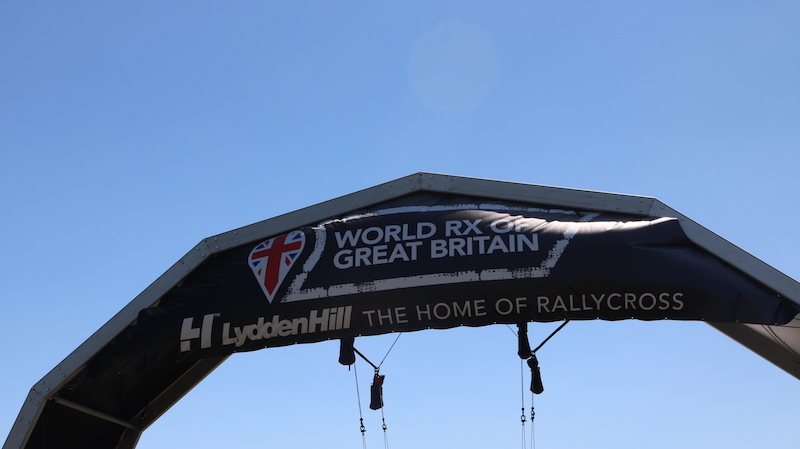 The weekend was doubly as sentimental as it marks the 50th anniversary of Rallycross being held at the historic event. 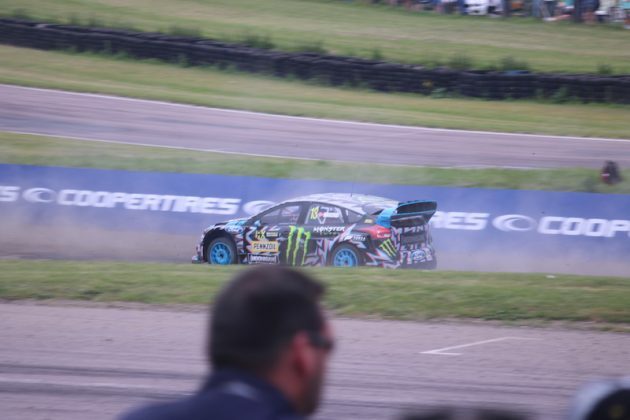 One of the main talking points of Q1 was Niclas Grönholm taking a bit of a tumble after his Ford Fiesta rolled in to Chessons Drift. 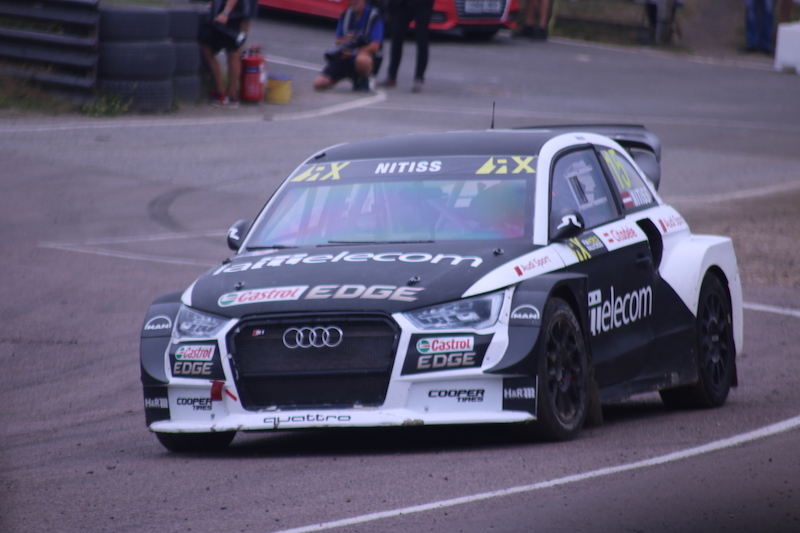 Reiniss Nitiss didn’t have much luck either as he somehow managed to miss his joker, meaning he incurred a 30 second penalty. 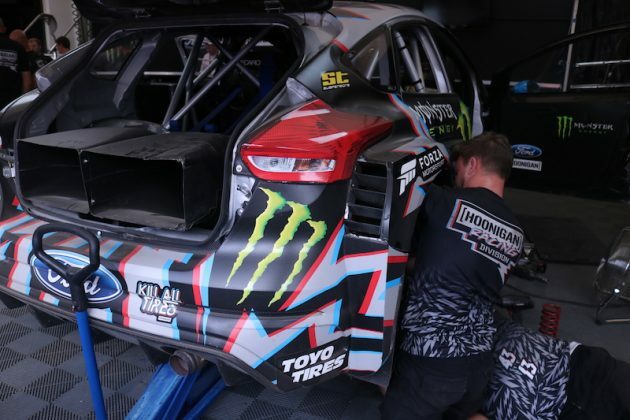 His weekend went from bad to worse after he was forced in to a set of bollards in Q2. 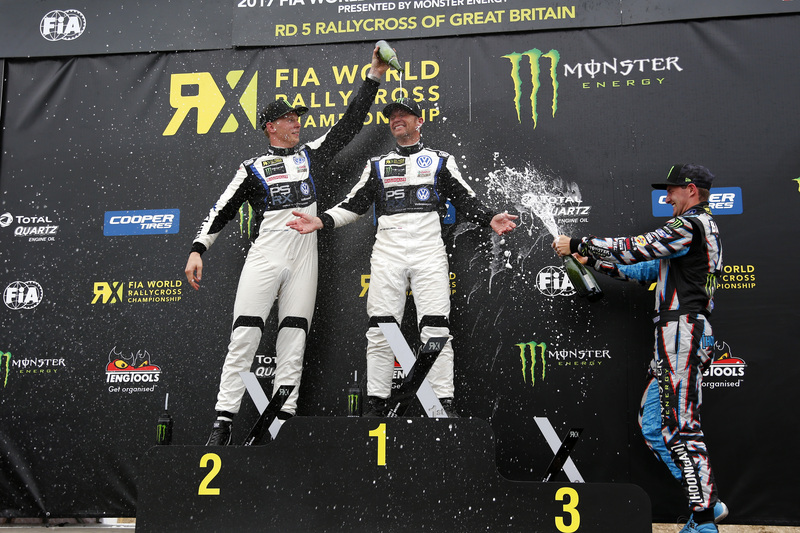 In more positive news, former champion Petter Solberg took the win overall in Q1 – a trend that was set to continue as the weekend went on. Saturday was not a great day for Nitiss. Q2 was the session that was rather cruel to some drivers, including the aforementioned Nitiss, as well as Kevin Hansen and Topi Heikkinen who were forced to the back of the pack thanks to mechanical problems. Hoonigan Racing driver Ken Block had a great duel with Sebastian Löeb, forcing the issue all the way to the end of race 4 of Q2. 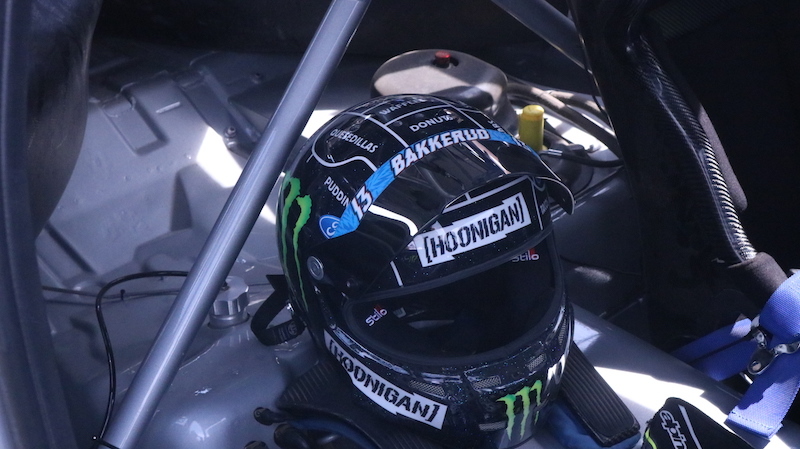 Once again though, it was Solberg that dominated the session after setting a sub 2:50 time in the last Q2 race. 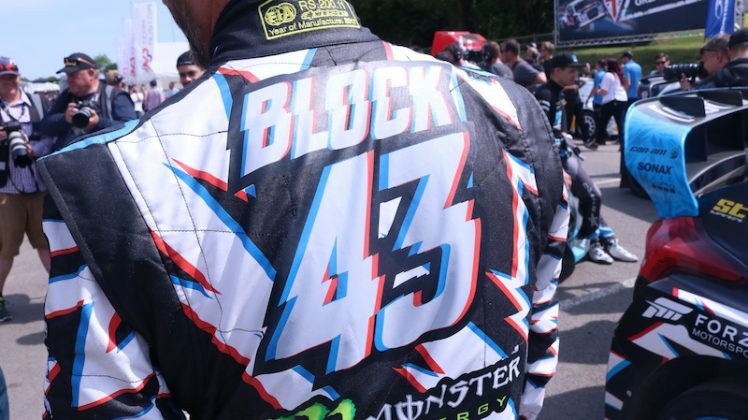 Block and Löeb put on a decent battle, but it was the former that came out on top. This meant that the Norwegian was the top qualifier overnight and he continued this winning momentum in to Q3, as he set a time of 2:48.055 in his new Polo GTI RX supercar. 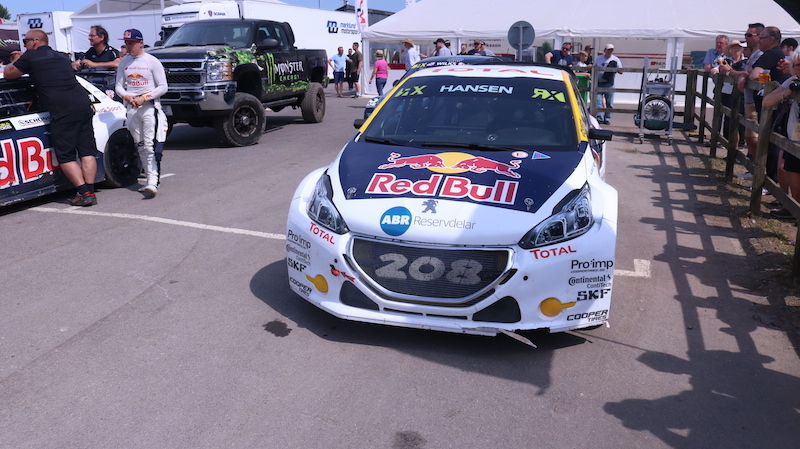 It looked as if he was going to make a clean sweep, but Timmy Hansen had something to say about that, as he took the win in Q4, setting a time of 2:49.376. 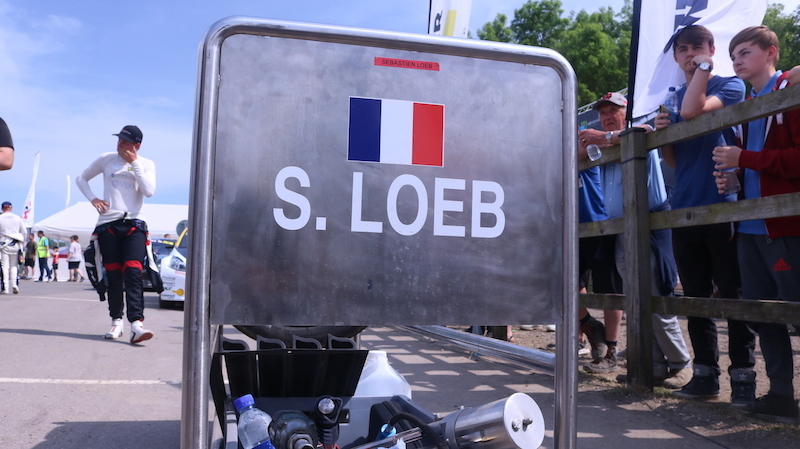 This meant Timmy was able to make the semi final, but brother Kevin just missed out of the top 12. 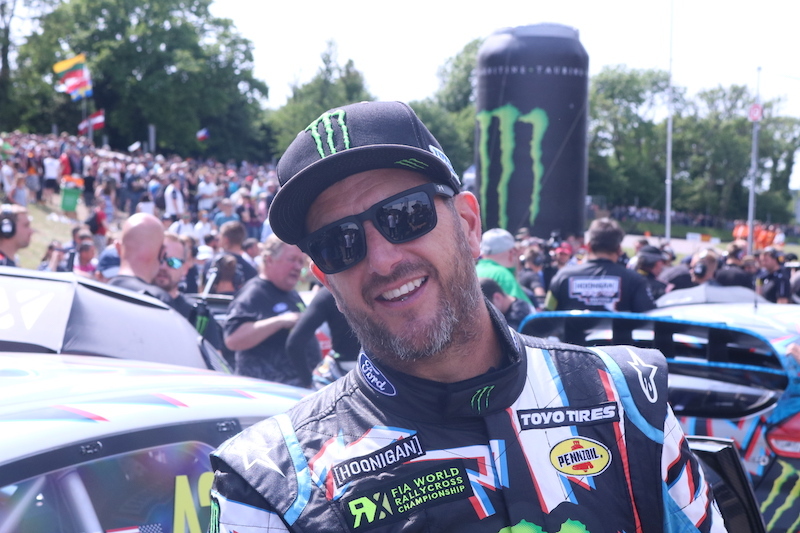 Semi-final 1 saw Hoonigan Racing Division’s Ken Block and Andreas Bakkerud side-by-side on the grid, but it was the former that made it in to the final after Block had to settle 4th place after he was pipped to 3rd by Timmy Hansen. 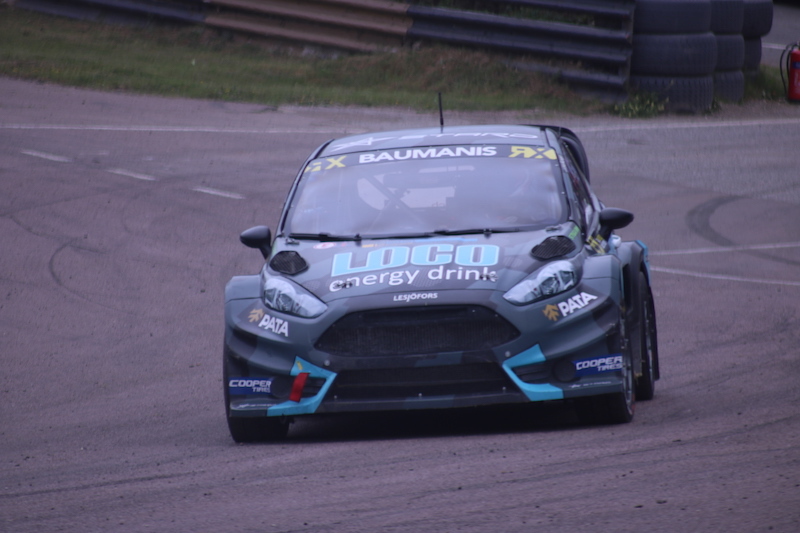 Finishing in front of the Swede was Andreas Bakkerud in 2nd, with Petter Solberg taking the win with a time of 4:11.741. Ken Block put in a decent display throughout the weekend and just missed out on the final. 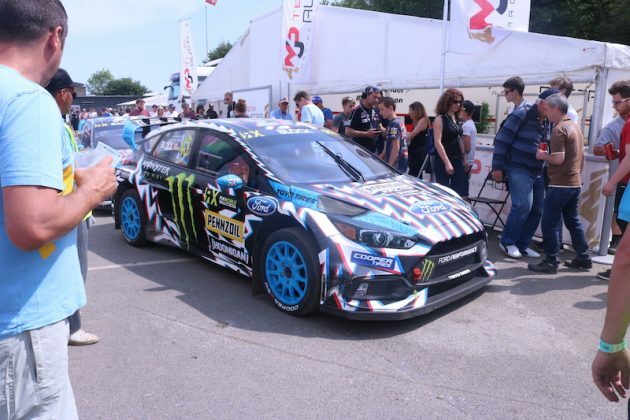 Petter Solberg signs posters for adoring fans. 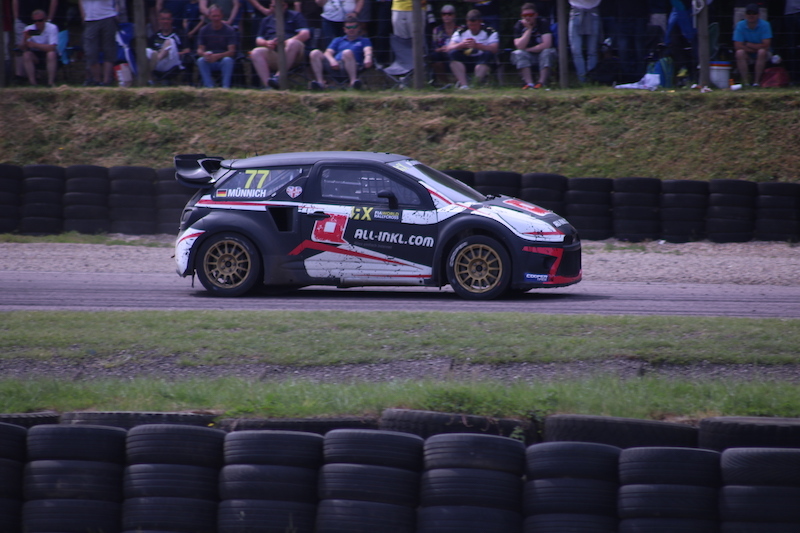 Solberg’s PSRX teammate Johan Kristoffersson who took the win in the second semi final after finishing ahead Sébastian Loeb and reigning champion Mattias Ekström. 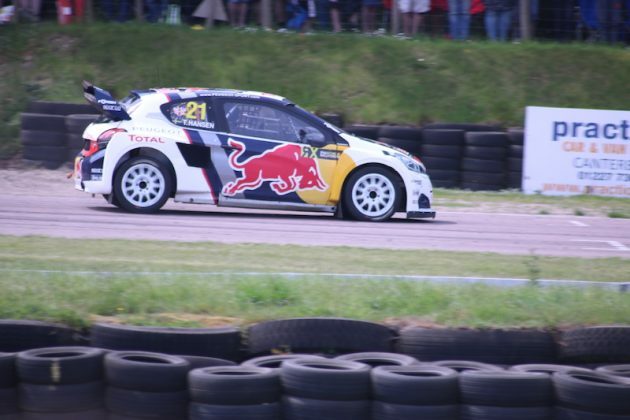 In fact, Ekström had a bit of a quiet weekend and seemed to fly under the radar. 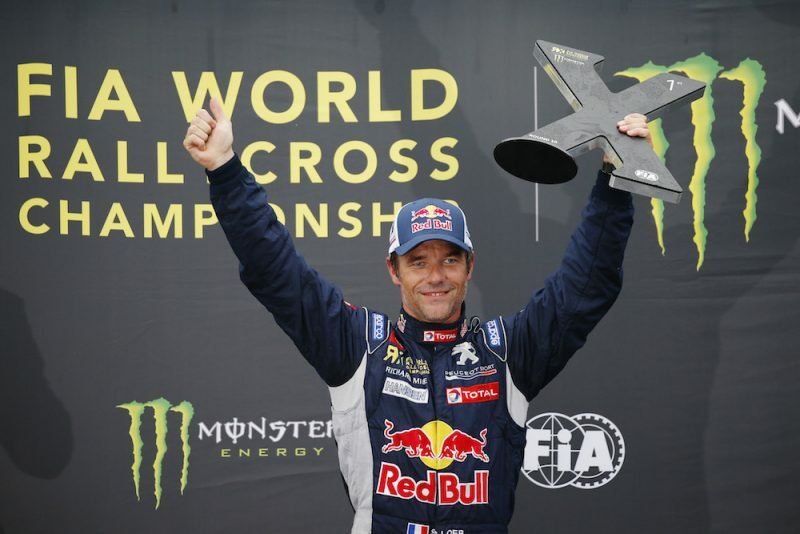 He did however do enough to make it to final, with the hope of extending his slender championship lead. 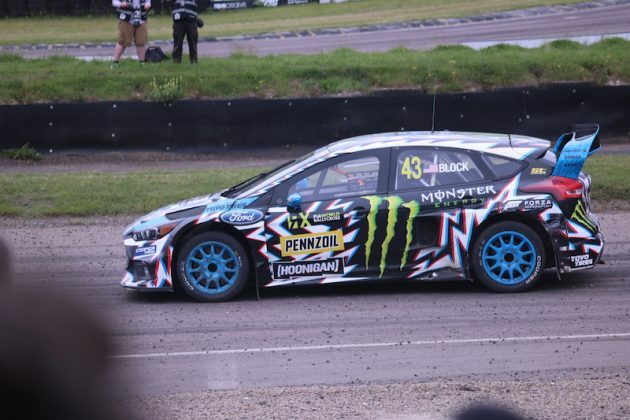 PSRX driver Petter Solberg may have lost his crown, but it seems as if he has come back fighting at Lydden Hill. 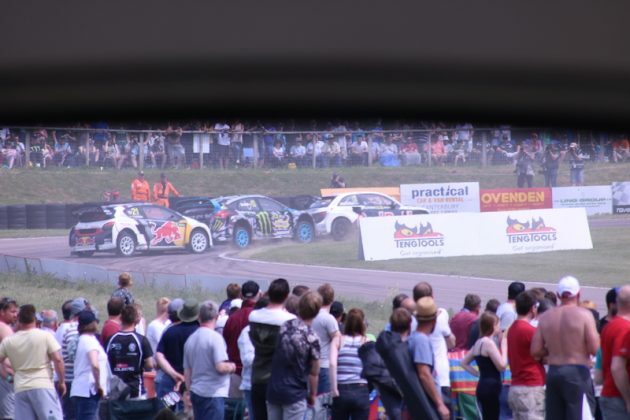 He is of course still getting used to his new Polo RX supercar, with his old Citröen now in the hands of René Münnich. 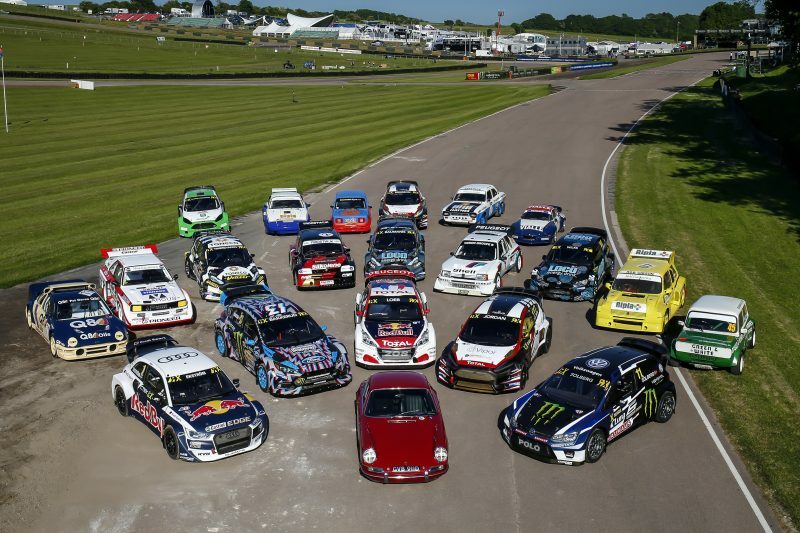 Sadly there were no British drivers in what is to the final Rallycross race at Lydden Hill for the foreseeable future. 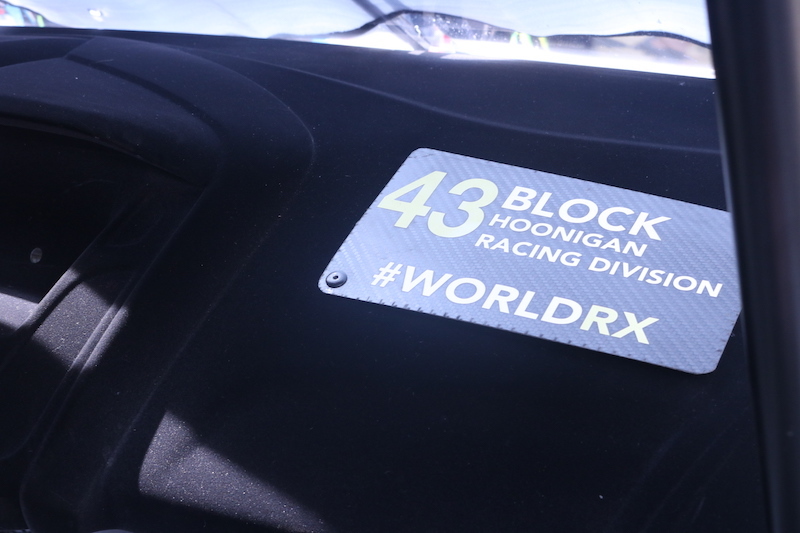 Having said that, drivers such as Andrew Jordan were able to put in a decent effort. 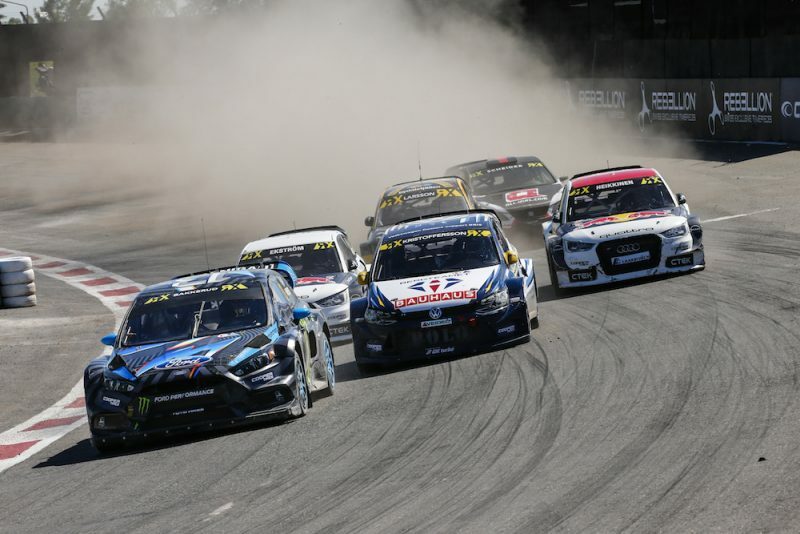 Ekström had made it three in a row by winning the first three rounds of the race calendar, but the Swede missed out on the win in Mettet, so he would have been keen to get back to winning ways in Lydden. 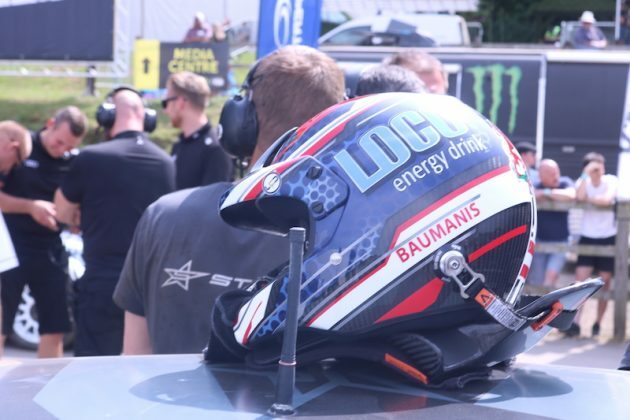 As mentioned though, he had a somewhat quiet weekend and he finished towards the back of the pack, ahead of Timmy Hansen who had an incident with teammate Sebastian Löeb towards the top of hairy hill. 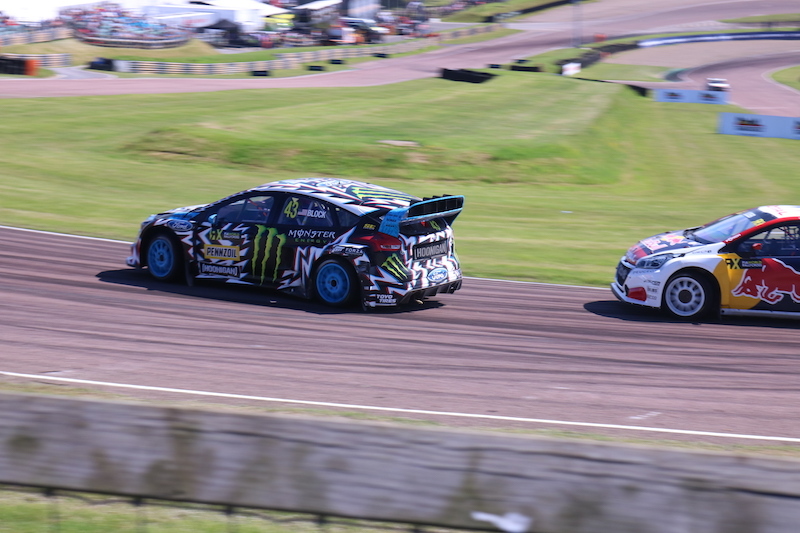 Solberg had no incidents at all and in fact the final was a bit of a masterclass from him as he took a very convincing first place after timing his joker lap effectively. 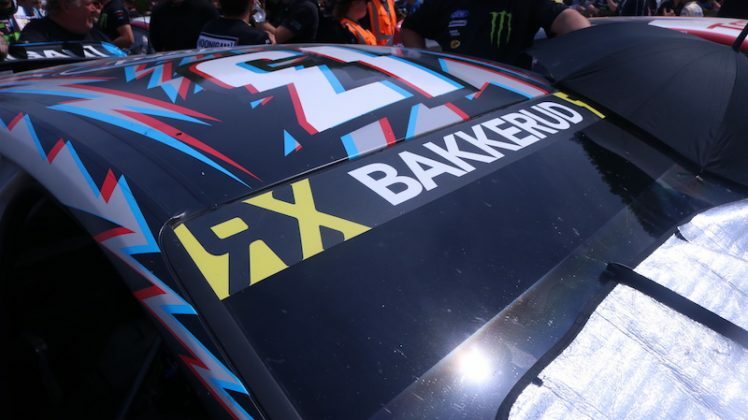 Bakkerud did have the lead through the race but in the end had to settle for the 3rd spot on the podium, with Solberg’s PSRX teammate Johan Kristoffersson taking 2nd place in the new Polo RX supercar. 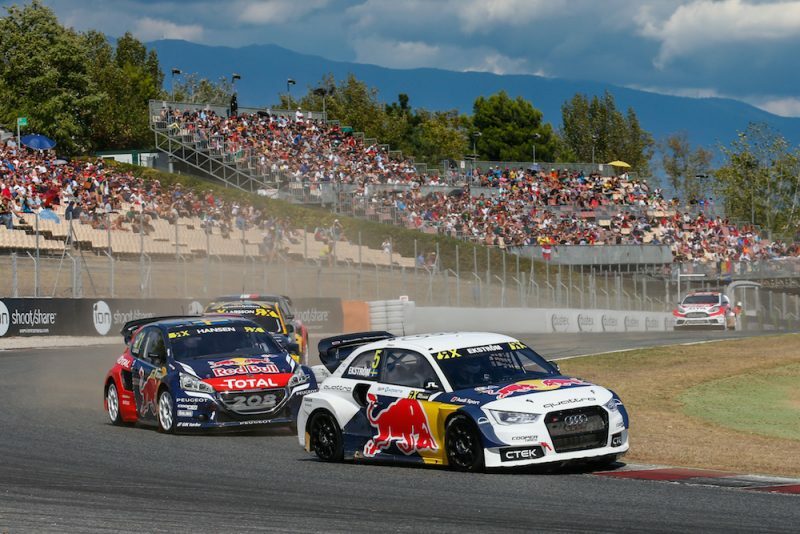 That second place now means that the Swede climbs to the top of the championship standings, leapfrogging fellow Swede and current champion Mattias Ekström with respective points of 124 and 120. 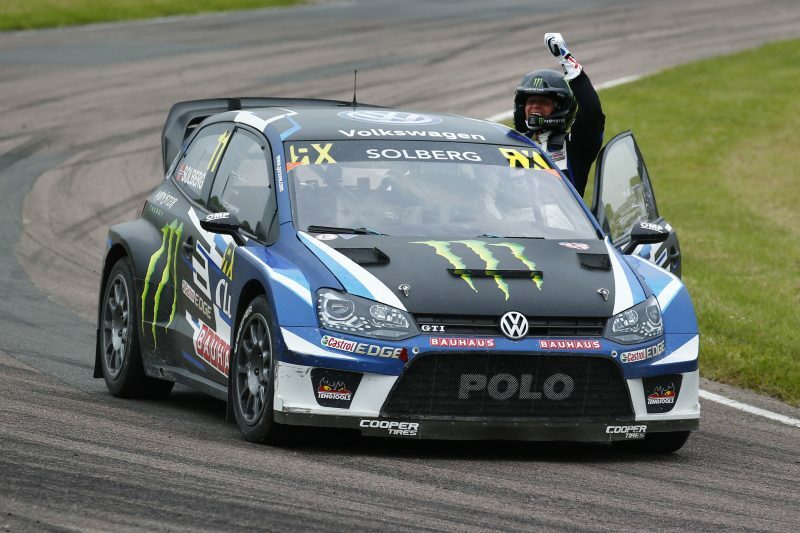 Solberg is right behind them 117 points, so although it’s still early on, could we see a new champion this year? 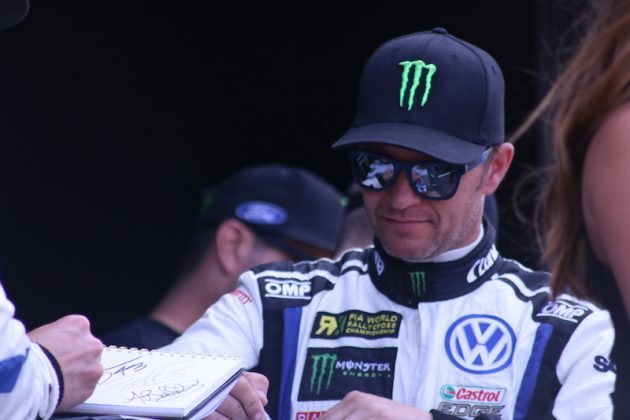 Could Petter Solberg take his crown back? Well, judging by this performance, you’d be hesitant to argue against that. 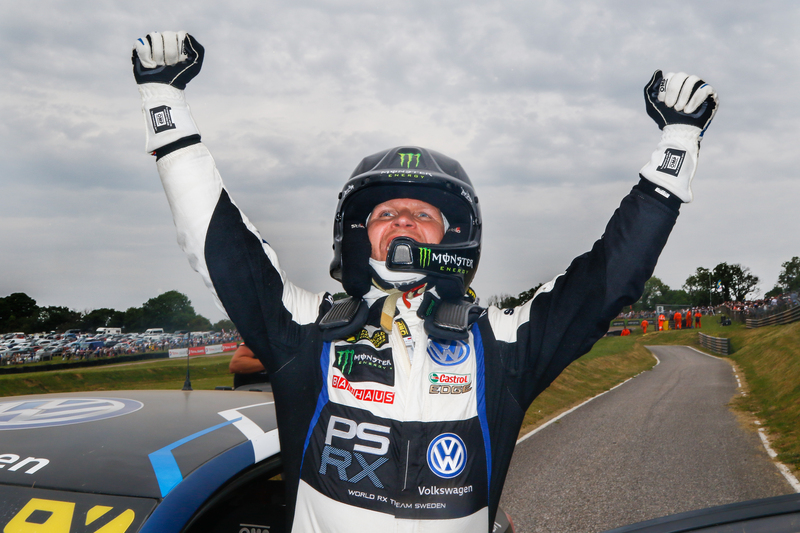 All smiles: Solberg will be glad to be back to winning ways. 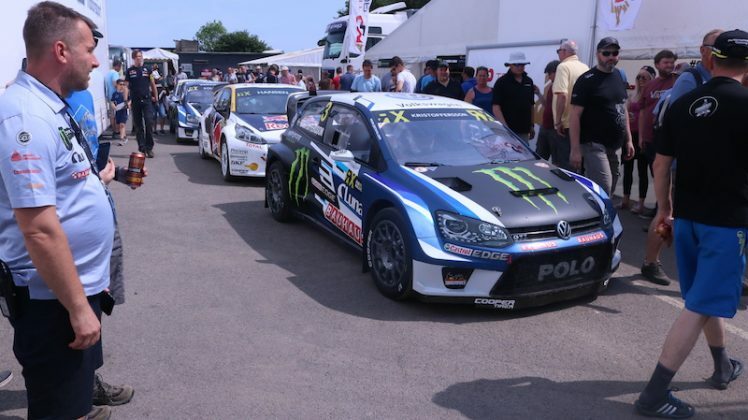 The win for Solberg is a historic one as it’s the last time the Rallycross will be held at Lydden Hill for quite some time as it moves to Silverstone, plus it was the first win of the season and also the first win in his new Polo RX supercar. 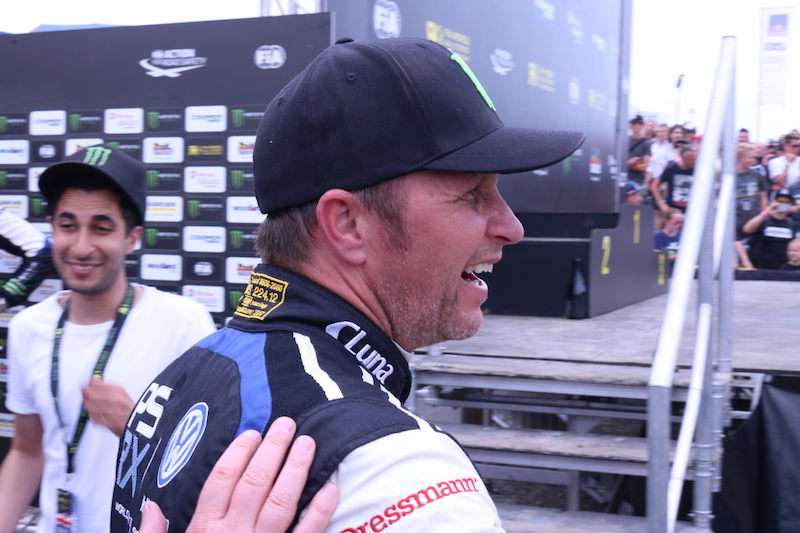 It’s without any doubt that Solberg will not want to build on this momentum and carry it through to the next round in Norway.